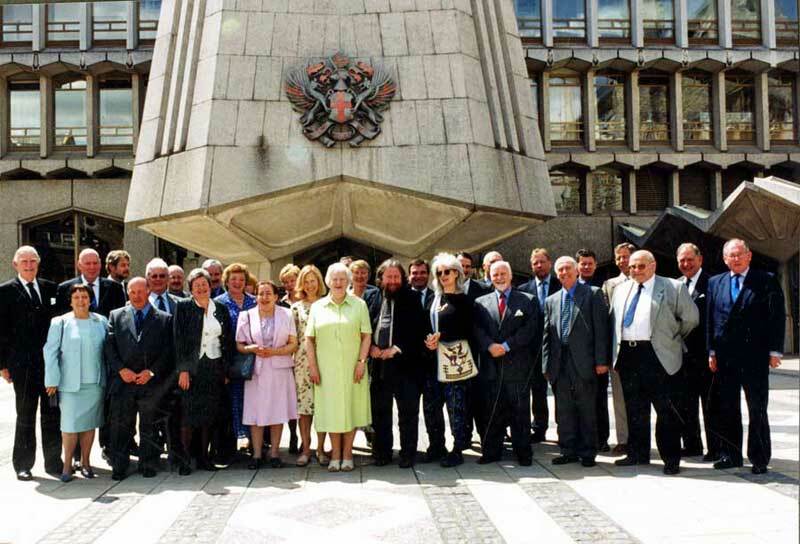 Photo taken in 2001 in the Guildhall Yard following a special lunch to mark the occasion of those featured reaching the milestone (or should that be millstone?) of having worked for the Corporation of London for twenty five years. 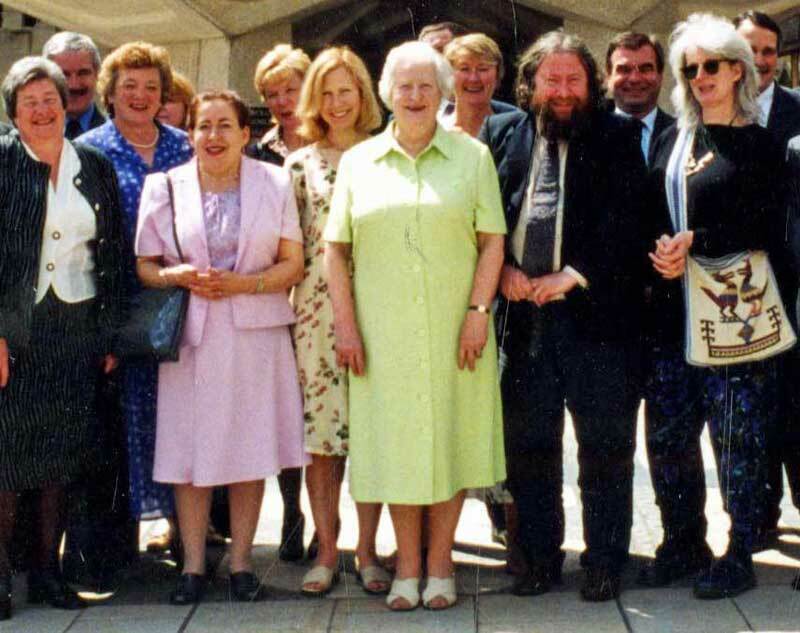 Whilst I knew that it featured Penny MacConnoran and Geoff Egan standing side by side in the centre of the photo, I have just noticed that Cath Maloney is also there (slightly to the left wearing the floral dress), with John Schofield in the left background. Although it is tempting to claim that John was an early pioneer of photobombing, the truth is that all four were founder members of the DUA. The long service award from the Corporation in 2001, included a payment of £309.00 which could be used by the recipient to purchase themselves a gift, I recall Geoff telling me that he had bought himself a pocket watch, whereas Penny purchased herself a large bureau bookcase at the Criterion Auction rooms in Islington (the watch proving to be the lighter object to transport home).